In case you didn't know, Reid Duke was covered every round of the Legacy Grand Prix. We got to follow along with all the highs and lows as he tried to improve his standing in the Player of the Year Race. This proved to be incredibly popular both within the world of Magic and even outside its borders. Reid came into the weekend sitting on 78 Pro Points, nestled right between Seth Manfield and Luis Salvatto, who entered the weekend in first and third place respectively. With Seth a point ahead of Reid and Reid a point ahead of Luis Richmond was looking to play a pivotal role in determining who would be the Player of the Year. In the final round of Swiss Reid was playing for an outside shot at the Top 8. A win would guarantee at least 3 Pro Points. This would improve his position and put him into a tie with Seth. See, players are able to count their six best Grand Prix finishes towards their season totals. A three point finish, that is if Reid had won 12 matches on the weekend, would have given him a tie with Seth for first in the Player of the Year race with only two Grand Prix weekends left to be played. In the final Swiss rounds of Sunday, I had a chance to catch up with Reid to talk about his experience playing Legacy while also providing coverage of himself. One thing that stood out to Reid was all the support on Twitter and other social media. While he didn't often have a chance to look at his phone, the fact that his "notifications were maxed out." Reid told me that in Round 6 that his opponent, Tomoharu Saito, told him that people from Saito's store in Japan were staying up specifically to watch Reid. The support from all over the world, Reid said, helped to give him the energy to keep going in a situation that would have otherwise been tough. When I asked Reid if he would do something like this again, he thought for a moment before saying yes. He said it would require a special set of circumstances. It would need to be in a format he knew extremely well with a deck he knew like the back of his hand. So probably a deck like Grixis Control in Legacy. When I asked Reid about any particular game that stood out, he answered in a fashion that should surprise no one. He loved the matches against Miracles as they were full of interesting and complex decisions. After prodding Reid to pick one moment that was particularly memorable he recalled his Round 7 match against Platinum Pro Andy Baeckstrom on Death's Shadow. "Andy had a turn-one Street Wraith," Reid recalled, and Duke could not be block it as long as he controlled a Badlands thanks to Swampwalk - then Baeckstrom used Wasteland to remove the Badlands. When Reid didn't attack with his Baleful Strix, it prompted an ask of why from Baeckstrom who then realized what had happened. The game continued with Baeckstrom putting himself ever lower on life. After cracking a fetch land to go to 8, Reid saw an opportunity. Two Lightning Bolts and a Kolaghan's Command later Reid picked up the victory. I think I speak for the significant portion of the Magic community when I say thank you Reid for an exciting weekend! While both Seth and Luis made it to Day 2 of the Legacy tournament both fell out of contention early and dropped. Due to the structure of Grand Prix and their byes, they were both able to play in the Standard Grand Prix. And were they ever glad they did. Both players rattled off an undefeated first day of competition and the duo entered Day 2 with pristine 8-0 records. After that things did not go according to plan for Salvatto - he needed to pick up 11 match wins to pull into a tie with Duke. At the end of Round 13, the Pro Tour Rivals of Ixalan champion had picked up his fourth loss, which meant he had no more losses to give. And he didn't. Salvatto ended the day with 11 wins, enough to give him the three points he need to pull into a second-place tie with Reid Duke. But what about the leader at the start of the day, Seth Manfield? He picked up two losses but was able to draw his way into the Top 8. That meant that at worst he would finish the day two points ahead of both Reid and Luis. We'll get back to Seth and his campaign for Player of the Year Later. Grand Prix Richmond played host to more than just the two Grand Prix. ChannelFireball hosted a number of format championships this weekend including Pauper and Brawl. I had a chance to catch up with member of Magic R&D Gavin Verhey who was in Richmond to play in the Championship and get his thoughts on the event and Brawl as a whole. Verhey ended up making the final table of the event with his Arcades, the Strategist deck. Gavin talked about the generally positive reception to the format. The smaller pool of available cards meant that "everyone was on the same footing." Unlike Commander, a format that draws upon nearly the entire history of the game, Brawl is constrained to the most recent sets. Gavin told me a few participants came up to him and got into the format "because of draft" and everyone found the games to be enjoyable with tons of interaction. Unlike Commander, where a finely tuned deck can "go off," the best decks in Brawl are all fairly evenly matched, or at least they were on Saturday. What does the future hold for the format? Just like the goose and the gander, what's good for Brawl is good for Commander. Gavin said to keep an eye out for cards designed for Brawl that could very easily make it to the elder format. But for now we can revel in the fact that at the Brawl Championship at Grand Prix Richmond, Firesong and Sunspeaker defeated Raff Capashen, Ship's Mage, Teferi, Hero of Dominaria, and Arcades the Strategist in the first-ever Brawl Championship. Mike Sigrist came to this Grand Prix intent to test Standard. With the World Championship only a few short weeks away, Sigrist was looking for any opportunity to prepare. In Round 15, he had a chance to get at least one more match of testing if he could earn the victory in a win-and-in match. Playing the Blue-Black Midrange mirror against Andrew Hung, the former Player of the Year won the first game but dropped the second. The problem: there were just over two minutes left on the clock. The two players shuffled, presented and quickly drew their opening seven. Sigrist got off to an aggressive start with two copies of Glint-Sleeve Siphoner. Hung only mustered a copy of Arugal's Blood Fast. The ChannelFireball team member applied pressure and put Hung to 12 life. Then time in the round was called. Hung finished their turn and Sigrist took the first extra frame. This would prove pivotal. With four power on the board and his opponent at 12 life, Sigrist would need three attacks to win and cement his place in the Top 8. Hung, for his part, kept digging. A Champion of Wits, an activation of Blood Fast - but none of it would matter. On the final possible turn Sigrist turned his creatures sideways and earned another Top 8. Headlined by Mike Sigrist and Seth Manfield the Top 8 featured three copies of Black-Red Aggro, two copies of Blue-Black Midrange, and one copy each of White-Blue Control, Esper Control and Black-Red Midrange. Sigrist emerged from a nearly 90-minute long midrange mirror against Joe Stampo while Manfield added another Pro Point with a victory of Alfredo Torres. Sigrist then found himself victorious over Jose Alvarez in two games while Seth lost in three to Alex Hon. Despite not making the finals, Seth Manfield improved by replacing a three-point finish with a five-point finish, giving him a net of two points on the weekend to leave him at 81. 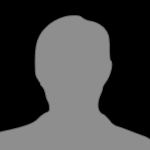 He currently sits three points ahead of Reid Duke and Luis Salvatto with only two Grand Prix left to play this season. But back the the tournament at hand. In a story as old as this Standard, Goblin Chainwhirler faced off against The Scarab God. Hon took a relatively quick first game on the back of Rekindling Phoenix. The second game was a similar affair with Goblin Chainwhirler doing what it does and winning the game for Black-Red Aggro. 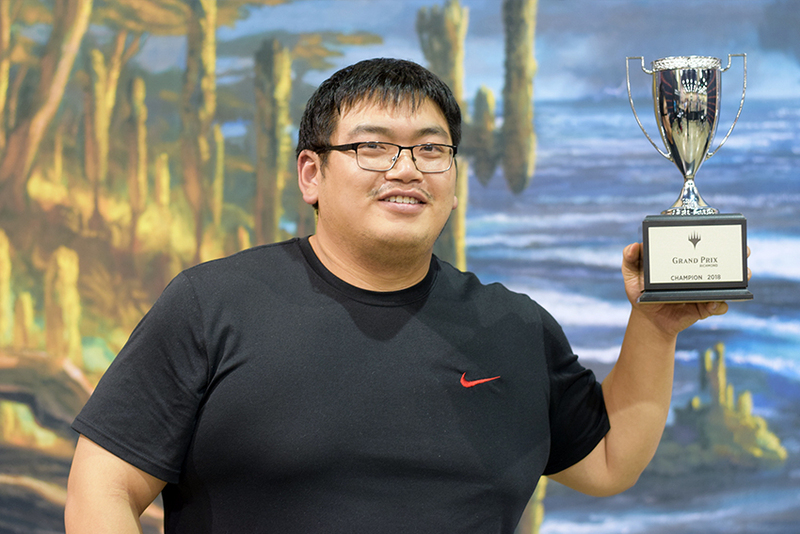 Congratulations to Alex Hon, your Grand Prix Richmond Standard Champion! We will be back next week as the 2017-18 season draws ever closer to its end at the Team Unified Modern Grand Prix Detroit!